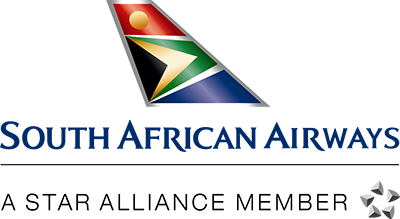 South African Airways (SAA), South Africa’s national flag carrier and the continent’s most awarded airline, serves over 75 destinations worldwide in partnership with SA Express, Airlink and its low cost carrier Mango. In North America, SAA operates daily nonstop flights from New York-JFK and direct flights from Washington D.C.-IAD (via Accra, Ghana and Dakar, Senegal) to Johannesburg. SAA has partnerships with United Airlines, Air Canada JetBlue Airways, American Airlines and Hawaiian Airlines, which offer convenient connections from more than 100 cities in the U.S. and Canada to SAA’s flights. SAA is a Star Alliance member and the recipient of the Skytrax 4-star rating for 16 consecutive years as well as being honored with the “Best Airline Staff in Africa” award at the 2018 World Airline Awards. South African Airways-Africa’s Warmest Welcome! Is a Safari your wish? The Big Five will likely be at the top of your list. Big Five refers to buffalo, elephant, lion, leopard and rhino and the term comes from the animals considered most dangerous to hunt. To see a leopard dozing in the bough of a tree, spotting a black rhino half-hidden in thick shrubs, finding a pride of lions in the shade after a kill, or watching a large herd of elephants or Cape buffalo move soundlessly across the road - these are all priceless moments. With award-winning safari lodges in Mpumalanga, Limpopo and the Eastern Cape, the bush equals bliss. Luxury, impeccable service and cuisine, soothing spa’s and superlative wildlife encounters add up to safari adventures that will exceed your wildest expectations. Discover the joys of South Africa’s award-winning wines and cuisine along any of the beautiful Cape wine routes, taking you through green valleys and historic towns. With wine regions stretching from the western to the northern Cape and the edge of the Karoo you can almost taste your way around South Africa. Sample at well-known estates or seek out little-known gems. Where there’s fabulous wine, great food is never far behind. Oenophiles, gastronomes and sybarites – don’t miss our winelands. Restrictions: Valid for travel 4/1/2019 - 05/31/2019. The $849* fare is valid for travel from New York (JFK) to Johannesburg (JNB). The $979* fare is valid for travel from New York (JFK) to Cape Town (CPT). Valid for travel Monday – Thursday. Fares must be purchased by April 11, 2019. Minimum stay: Must stay over one Sunday for fares to apply. Maximum stay: 6 months. Seats are limited and may not be available on all flights. Cancellations before/after departure: fares and carrier-imposed fees (YR/YQ/Q) are non-refundable. Date change fee applies plus any applicable fare difference. Administrative fees may also apply. Infant (not occupying a seat) discount - Pays 10% of the adult fare.